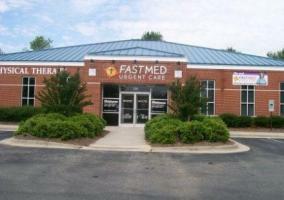 FastMed Urgent Care is a neighborhood walk-in clinic in Cary, North Carolina. There are two FastMed locations in Cary: one at 3420 Ten-Ten Road and a Family Practice medical clinic on at 100 Cornerstone Drive. 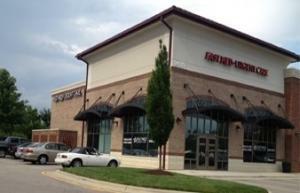 FastMed Urgent Care clinics in Cary are open 365 days per year, and walk-ins are always welcome. FastMed Urgent Care in Cary, NC, treats common conditions, such as ear infections or strep throat and minor injuries or cuts and lacerations. Cary locations have on-site labs for pre employment drug testing and digital x-rays to check for various back injuries. At FastMed Urgent Care in Cary, NC – our clinics accept most major credit cards but do not accept payment by personal check. We take most major insurance plans and offer a discount plan to help families without insurance manage the cost of their healthcare.